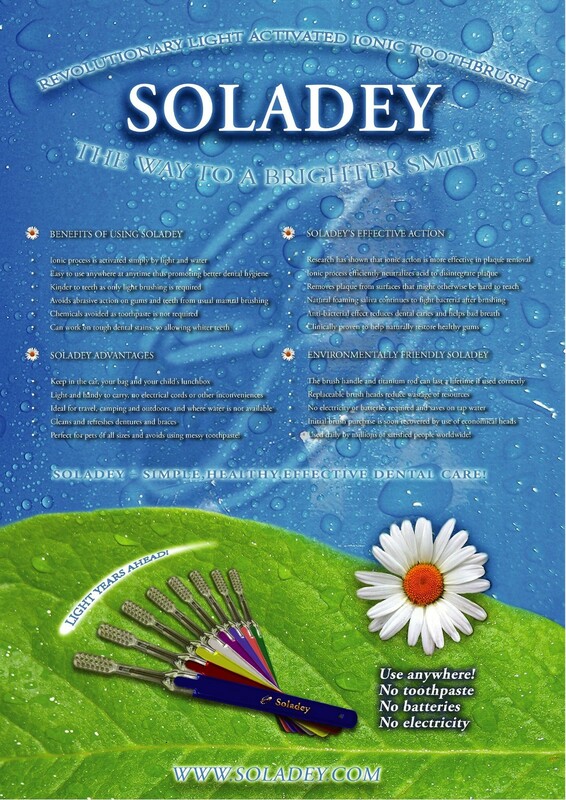 SOLADEY is an ionic toothbrush that really does work wonders for your smile! The brush is a regular household item in Japan, where sales top over 2 million units a year, and where the replacement brush heads are purchased at a rate of over 5 million units annually. 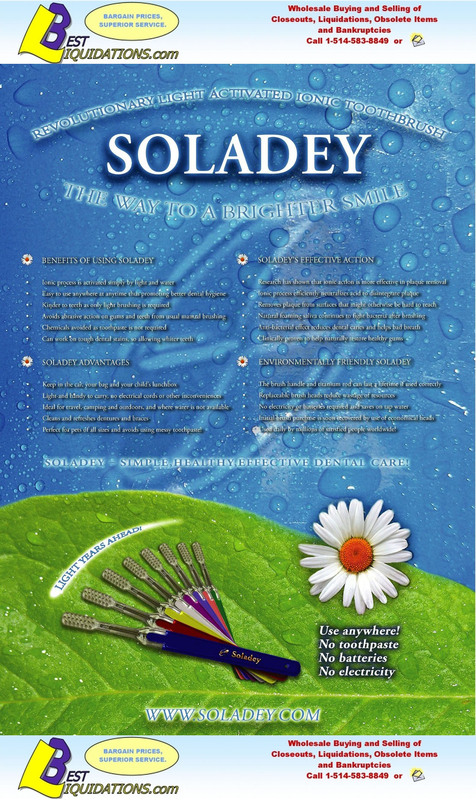 Soladey is a completely new approach to dental hygiene. The natural reaction of negative electrons with bacteria removes plaque effortlessly. The brush contains a patented titanium rod that reacts with natural or artificial light sources in order to disintegrate the plaque barrier on contact. The results of using Soladey are immediate, and from the moment the user realizes this, there is no looking back! I have personally been using the Soladey for over 7 years, and have confirmed its results with friends and family. Testimonials can easily be supplied, but the best one will be your own. Your dental hygienist will be amazed how clean your teeth are! Tooth Brushes comes 12 per pack 48 dozen packs per case 390 cases. Contact us for minimum order.